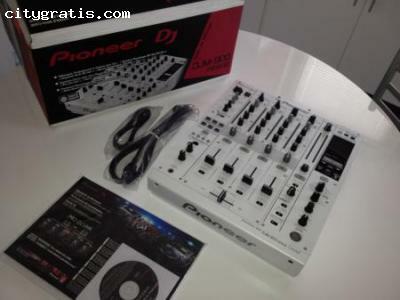 We are offering Pioneer DJ limited edition brilliant white versions of two of its highly popular professional DJ gear. This is a cool set-up. Not just because it's white either. It's a attention grabber of course. But it's a dj's dream. Everything you could want you have. Endless effects.